Traditionally the Khambu people (aka, Rai) were nature worshippers. They worshipped objects of nature such as trees, rivers, and animals, but they also worshipped their ancestors. Later Hinduism was forced upon them by outsiders. Today there is an interest in the Buddhist religion among the Khambu. This is probably especially true in Bhutan, a Buddhist country. The Khambu people live in three countries. Most are either in India or Nepal, but a small number live in Bhutan. Living in a mountainous part of the world, the Khambu people are isolated from the rest of the world. Farming is necessary, but it is very difficult. Like the peoples around them, the Khambu people in Bhutan depend on their livestock for milk and meat. Today the Khambu people are mainly Hindu. Today there is an interest in the Buddhist religion among the Khambu. This is probably especially true in Bhutan, a Buddhist country. The Khambu people need help making more than a bare-bones living in their mountainous homeland. * Pray for spiritual openness and a desire for relationship with a holy, righteous God. 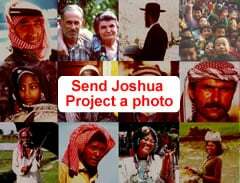 * Pray for the opportunity to hear of the finished work of Christ in Khambu communities. * Pray that despite their remote mountainous location that believers will take them the gospel and many will be willing to be discipled in the ways of Jesus Christ. 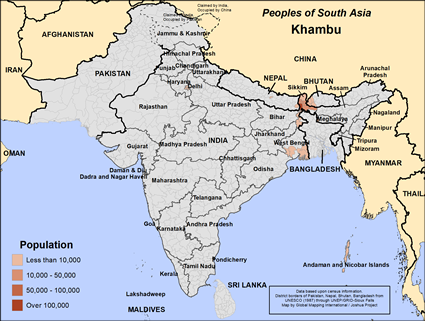 https://en.wikipedia.org/wiki/Rai_peopleView Khambu in all countries.